Starring: Jamie Foxx, Christoph Waltz, Leonardo DiCaprio, Samuel L. Jackson & Kerry Washington. What to say of Quentin Tarantino’s latest revenge fantasy set in the years before the Civil War and centered around ex-slave Django (Foxx)’s quest to rescue his beloved Bromhilda (Washington) with the help of a German bounty hunter (Waltz)? I’ll say this, Tarantino knows how to score the hell out of a movie: Morricone’s Ancora Qui is particularly haunting, quietly scoring the calm before the blood-splattered climax at Candieland. He also knows how to get visceral performances from his actors. This serves DiCaprio and Waltz quite well; the former relishes playing a dandy villainous role while the latter tweaks his charismatic yet ruthless take on Hans Landa to good effect. 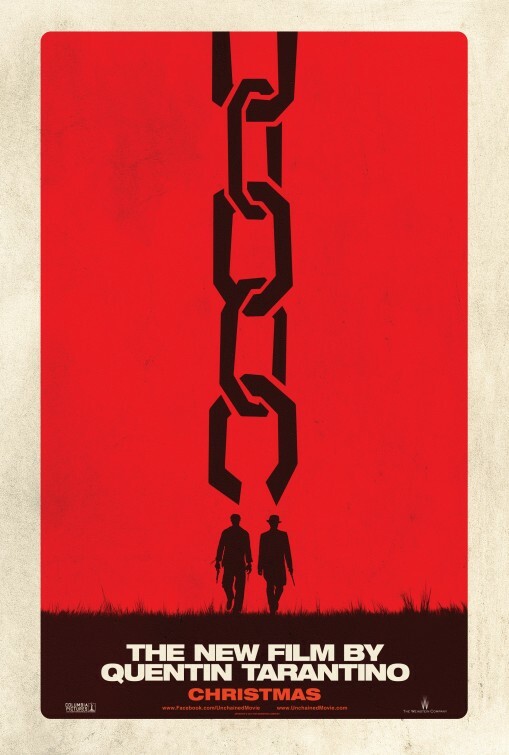 But the movie, both in its exploration of race relations through the prism of a spaghetti western and its success at offering actors a playful arena in which to let loose, wholly belongs to Samuel L. Jackson’s cruel, and hammy Stephen. As Candie (DiCaprio)’s right hand man at his plantation, Jackson’s Stephen is the epitome of what Tarantino’s unwieldy movie seems to want to accomplish: to look deeply into the shameful past of slavery. Stephen is the most despicable character in the film, not least because he is a character who perpetuates (and relishes) the very enslavement that keeps him tied to Candie.